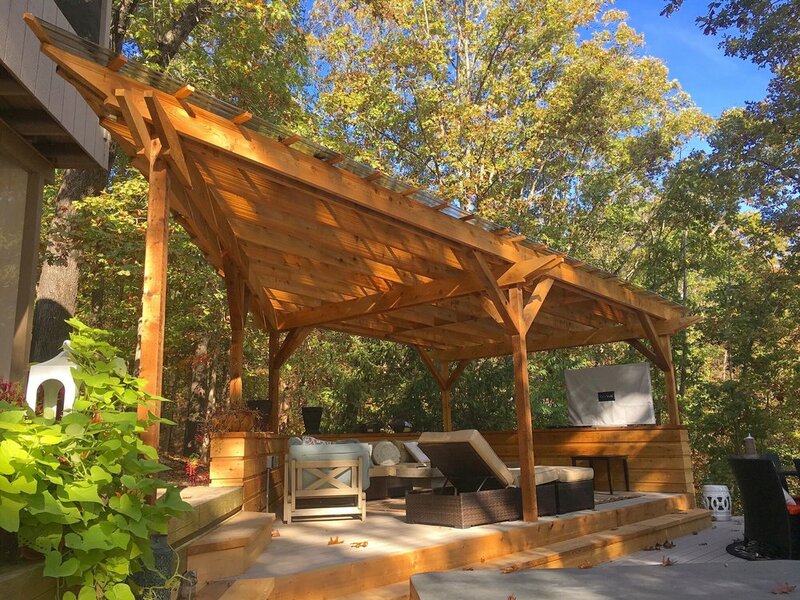 An older home on Lake Brittany in NW Arkansas, the owner wanted to create a series of outdoor experiences. 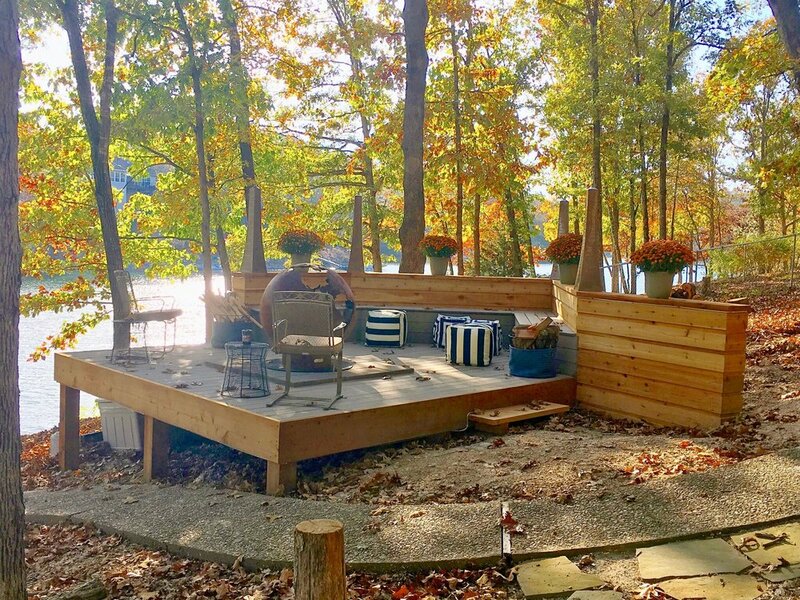 The existing covered deck was too small for entertaining and so we created 3 decks that move down the slope towards the water. The first being for entertaining and dining. The second for lounge and/or jacuzzi. And the third as a relaxation space with fire pit.